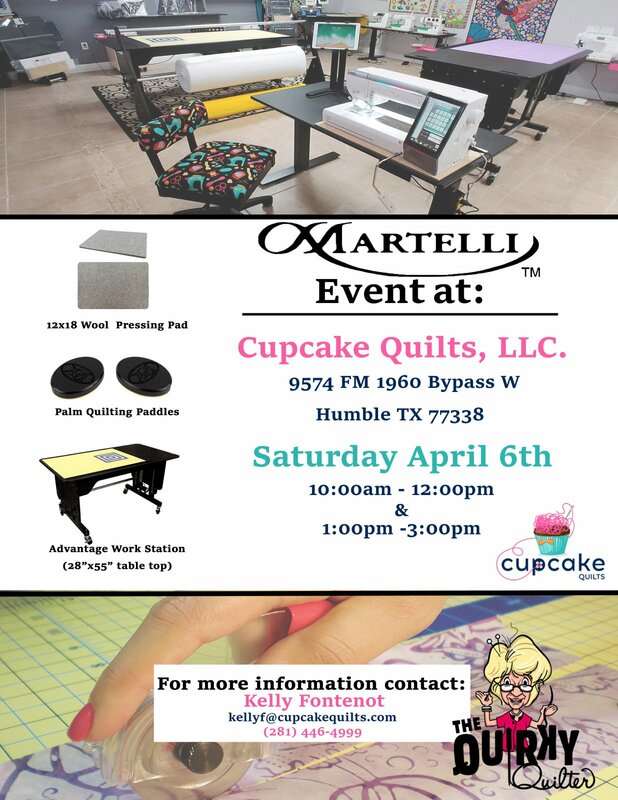 Martelli Cutting Systems will be here to demo their products for our customers! Quilters come in all shapes and sizes. Are you tired of your back aching every time you lean over the cutting table? Are you standing on your tippy toes to get the perfect cut? Martelli will bring their Electronic Adjustable Cutting Table that adjusts from 30" to 46" with the touch of a button. Come touch and see! Try before you buy! Their patented No Slip Rulers will be here to aid in learning new tips, tricks and techniques. They will demo other products as well AND it's our boss' birthday sale!